Flowers always give us a very refreshing feeling. 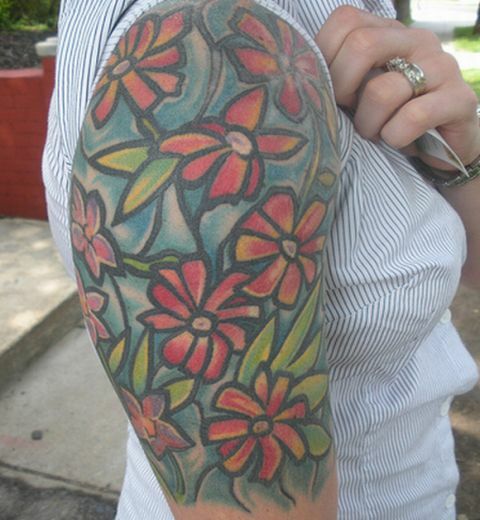 The above tattoo seems like a garden full of flowers on the sleeve. The tattoo was originally inspired by some stained glass seen in an old church in New Hampshire. There is no second opinion that the tattoo freaks are actually giving this culture a new dimension all together by having anything, just anything inked on their bodies.